Looking for the ultimately wedding party favor? Our wedding coolers are the perfect remedy! We have coolers for your wedding party, bride and groom coolers, and even coolers for your bachelor and bachelorette party. 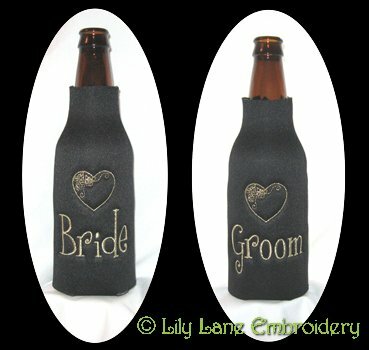 Don't worry fellas we even have the coveted beer cooler wedding favors. 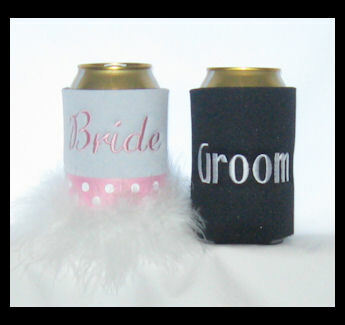 Whatever your wedding needs are, we definitely have you covered in the wedding can or bottle cooler department. 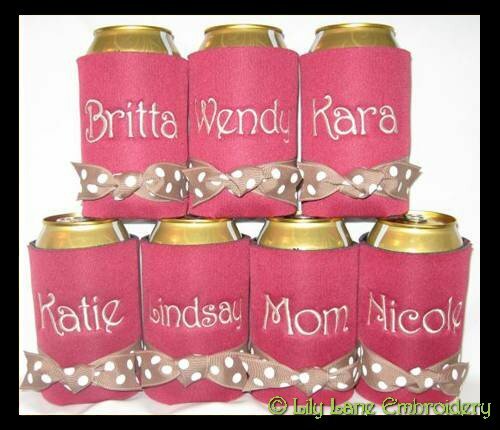 You can choose to have your bridal party's initials or names monogrammed on a cooler or choose our ready-to-ship bride and groom cooler set or design your own. So take a look at all of the designs we have below. 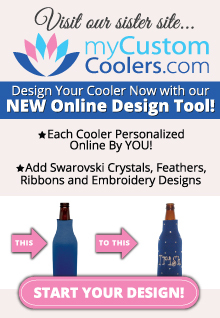 We do offer quantity discounts on orders of 5 or more coolers. CLICK HERE for the discount information.